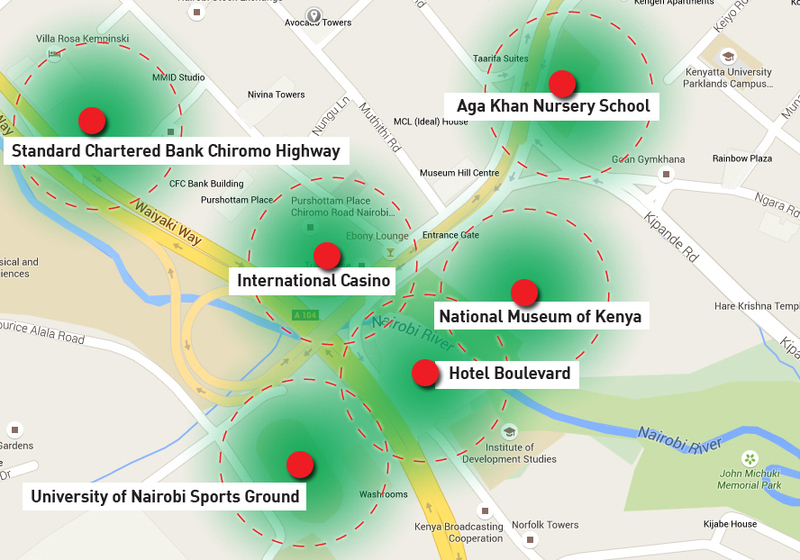 Local landmarks as new type of geo data have attracted plenty of interest among application developers during the recent years. Also, messenger services are noticing how powerful and useful instant textual location sharing could be in their services in practise. It is more and more evident that the fast paced nature of mobile-only features require new type of geo information that provide instant understanding of the location in mobile usage. It is once again time to review the basics; What are the local landmarks. What is the main difference between Local landmarks and POI data? Local landmarks are well-defined point data (name, regional hierarchy & coordinate) that give local people instant understanding of the location. Local landmarks can be used to determine the location and share it textually or in voice format. Local landmarks are very different from POI data. Local landmarks cannot be assessed or compared to other geodata because they convey the location textually, not visually on a map, and are determined by this feature from a large amount of traditional geodata. POI data determines where something locates (name and coordinates) and what information it includes (attribute information). POI data provides only seldom the name/text that instantly provide idea of the location for local people, thus POI data is not suitable for textual location determination as well as local landmarks. Local landmarks serve as location reference points for locals. Why other geodata producers do not have as extensive local landmark database? Production of the local landmarks data is more complicated than the production of other geodata types and elements. The determination and identification of the applicable local landmarks require a lot of specialized knowledge, experience and background work. During the last 15 years we have developed our own specialised in-house methods and technologies that focus solely on industrial production of the local landmarks. Other geodata producers do not have such specialized expertise and technology yet. Our local landmark database covers the whole world: more than 2 million accurately defined local landmarks from every country and major city. We update our local landmark database continuously. Each day we add hundreds of local landmarks into our database and regularly check that all landmarks correspond to reality. All over the world, people navigate and determine locations by means of local landmarks. Our local landmarks enable the same principle used in mobile phone and internet services and applications. For local people, the name of the local landmark instantly evokes the idea of the location in relation to their own location. In addition, the local landmarks can complete maps and addresses, or substitute in some application and services. Local landmarks provide substantial value, especially in areas where the map literacy is not widespread, addresses and maps are incomplete or missing altogether. Where Local landmarks provide best possible value? .... plus, in various future mobile applications that takes mobile location for hundreds of millions of new users who are not able to read a maps and do not understand addresses. A very common problem with landmarks is the fact that they are often confused with POI data. Landmarks, however, are very different from POI data that is commonly used in Location-Based Services (LBS) and geographic data business. Since our business is fundamentally based on landmarks and their diverse and innovative use, it is good to clarify the major differences between landmarks and POI. I also list some other terms that might be confused with landmarks as well. Technically landmarks are “points” with name and accurate x- and y-coordinates though they may also include additional attribute information such as administrative hierarchy, class, sub-class, country etc.. Landmarks can also be used to represent areas, such as cities, towns and villages (a relative “centerpoint”). Landmarks are traditionally used for personal navigation, spatial recognition, orientation and bearing. POI is also a specific geo-coded point that someone may find useful or interesting. The term is used in cartography, especially in digital data forms, including Geographic Information System (GIS) and Location-Based Services (LBS) applications. A name or description for the POI is usually included, and other attribute information such as address, contact information, category, reviews, administrative hierarchy etc..
Finding locations: Using a set of coordinates you can find which Points of Interest within a certain category or type are nearby. Querying features: Using Points of Interest you could look for something very specific, such as a restaurant along a certain road or more general, such as all secondary schools within a larger area. You can link your own information about the feature using the unique references, and also run queries and visualize your own data. You could also query the Points of Interest features against other types of geographic information, such as administrative boundaries to see, for example, how many tourist attractions a particular region has within a specified radius. Landmarks are collected selectively. In certain area, only one well selected landmark could represent and identify the entire area with a relative radius, for example, Eiffel Tower identifies much larger area than tower itself. There is no need to include any other features from the same area for landmarks. Only one feature gets the job done and provides unique and accurate location value for the area. Entire nature of POI data is totally different. All relevant data of the area is collected. In a POI data set, every individual feature around Eiffel Tower must be collected and recorded in order to provide useful POI data. All POI features are identically important and no selection is needed. Landmarks are also more relative than POI data. POI data has its own exact information value that exists in specific location and/or area. POI data is there or it is not. Landmark, however, can be identified only by personal preferences. One can “feel” that Eiffel Tower is not the most prominent and locally known feature in the area, for example, it could also be the nearby but universally less known Emile Anthoine Stadium. However, most people can’t identify the area into this feature. Therefore it is much more difficult to select good and useful landmarks than to collect POI data. Quantity wise, POI data set are usually the better the more POI data entries are included. Landmarks data sets are so much more selective in nature that fewer landmarks are usually better and provide more functional value. “Point” is a feature representing a real world object. In LBS and GIS industry, “point” feature is a single point with coordinates. Waypoint is a point between major points on a route or a track. A waypoint is a geo-coded “point” on the route to your destination, and can also include the destination itself. Waypoints have become widespread for navigational use since the wider use of GPS devices. Checkpoints refer to the point of reference or waypoints that help people trace their way back from a starting point or make navigational turns. The trackpoint defines a track formed by connecting the points with lines. The trackpoints represent the recorded road, trail, path, etc.. The purpose of trackpoints are to define lines for forming linear features. Usually trackpoints do not have any individual names, just coordinates (elevation) and date/time stamp. Places that is interesting to visit and/or to see. Usually term Place of Interest is used in a context of tourism and city maps and guides. The term “Place“ is used to refer to a point, a location, POI or a meaningful combination thereof. Places are typically larger scale administrative areas, either informally or formally defined: Countries, states, districts, municipalities, neighbourhoods and such. It is expected that a significant market growth in LBS (Location Based Services) business is just a matter of time. But it is still a big open question which concepts and technologies can turn this into significant cash flow in large scale. The majority of the consumers in emerging markets do not know, instinctively do not want, or are not able to use the existing LBS technologies and concepts for their everyday needs. The existing concepts and technologies are not perceived as “natural” and human oriented solutions. Something is still fundamentally wrong with the alliance of technology, commercialism and LBS solutions. The majority of world population does not understand traditional maps, coordinates, or complicated digital maps. Their spatial understanding and orientation is based solely on local landmarks, especially so in emerging markets! A new approach and new solutions are badly needed for this market in order to reach the consumers. The biggest amounts of potential LBS users are in developing countries. The future of the LBS business lays on the consumers in emerging markets, their every day needs and technology expectations. Personally, I believe that the single biggest reason is the "missing link" between the development of technologies and traditional map concept. Computers and mobile phones have evolved very quickly to their own technical, commercial and ergonomic conditions. Simultaneously LBS technologies tried to meet these conditions with same technology-driven evolution, not so much trough the evolution that is based on user experience and their natural capabilities and understanding of locations. Engineers and GIS professionals develop LBS technologies in developed countries but average consumers of emerging markets do not have the same level of understanding of the functional principles and concepts in order to get the best out of the location services and products. What an average consumer understands and senses on locations, orientation, navigation, and positioning, has developed through the evolution over millions of years. LBS technologies and concepts has been developed during the last 15 years, and everything have been based on almost entirely on traditional maps and their digital visualization and related technologies. LBS business is trying to get this mapping tradition and its principles into computers and mobile phones by force. This bond is not natural but rather the result of hard rush and commercial and technological pressures led by the missed investments and unmet expectations. LBS business should, in principle, basically go with a "clean slate" with these relatively new technologies and go into principles and concepts that are based on something that consumers all over the world naturally and intuitively understand. Sure, there have been some success stories which are based on the good old map tradition and technology symbiosis: Garmin, TomTom, Magellan... These companies grew rapidly into global giants, but almost as quickly melted into ordinary mortals, to ordinary companies that operate only in a niche markets. Consumers, after all hype and excitement, did not see that much value at the end of the day in the offerings of these LBS concepts. Consumers want and need something entirely new LBS concepts that sits better in their natural spatial understanding. LBS business is still looking for “the killer solution” that works globally and provides concept that meet consumers in more human and natural way in order to hit the home run also in significant value creation. However this "missing link" between the human capacity and the technology will be found sooner or later, since LBS business is still sufficiently charged the commercial and technological pressures and its renewal and development pace go faster every year. Five years from now - a long time in the computer and mobile phone business - we may have only a few global money making LBS-concepts, which may be based on sound, direction, visible environment or landmarks. I am pretty sure that these future LBS concepts are not based on traditional map concept and technologies that rely on it. The mankind has used maps for more than 4000 years... But still majority of the world's population does not understand or can’t read maps. Their spatial understanding, navigation and orientation is based solely on local landmarks, especially so in emerging markets. Every human being on their own territory can instantly identify the most known and biggest landmarks, such as schools, stations, department stores, big buildings, major junctions, and locate themselves and navigate within the area accordingly. This is happening automatically as people's regional understanding and memory is based on the landmarks for which can be seen, named and logically deduced from the surroundings. Let’s take a couple of simple examples. “Where are you”: I am in Barmoi Hotel, it is close to Casino Leone. Every person in Sierra Leone in Freetown instantly understands this. 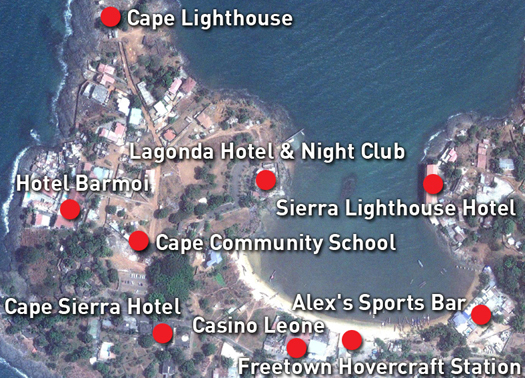 “How to go there”: First pass Casino Leone, turn left at Cape Community School and then go straight until you see Hotel Barmoi. Locals know these landmarks and all necessary information has been successfully delivered and understood. There is no need for a traditional map or more complex coordinates that most of the locals can’t understand and require plenty of education and special knowledge. Modern navigation and location technologies are based on maps and coordinates. They are still far too difficult for most people and they can’t deliver the information as they understand it without additional interpretation. The image above illustrates well why the majority of the world's population still does not understand maps and coordinates – these concepts are not based on what they see and what is real in their own surroundings. Coordinates do not turn automatically into Hotel Barmoi - the basic information to be delivered and understood. In the image below where one can see that landmarks are not too far apart, nor too close. They form a complete basis for personal navigation and orientation. Of course, landmarks are not an alternative for maps and coordinates, but an additional new form of delivering location and navigation information that really bring location services to where they should be: Everyone’s everyday-tool everywhere! No address available – so where is it? In emerging markets very marginal portion of the population is using location based services. But according to Mobile Life Research the highest latent demand for these services is in emerging countries. It is pretty clear that above interest levels represent more the point of view of developed markets. However, above applications could also be greatly enhanced for emerging countries by assimilating how people think about the location or how locations are currently communicated by local people. Billions navigate based on landmarks, that would greatly enhance user experience across different location based applications. In navigation applications, one traditionally uses a specific address as a destination. This is unlikely to work in emerging markets, as large majority is not willing or able to use exact addresses. Therefore landmark based guidance is needed for the destination and on the way to find the best route. A combination of street view and landmarks are likely to provide the optimal approach for the part of the population that can afford devices that are needed for precise navigation. But landmarks can also support navigation on more basic phones. Similarly finding a restaurant or other point of interest becomes much more understandable if it is communicated with the closest landmark. This logic also applies to Friend Finder, special offers, transportation service applications etc. 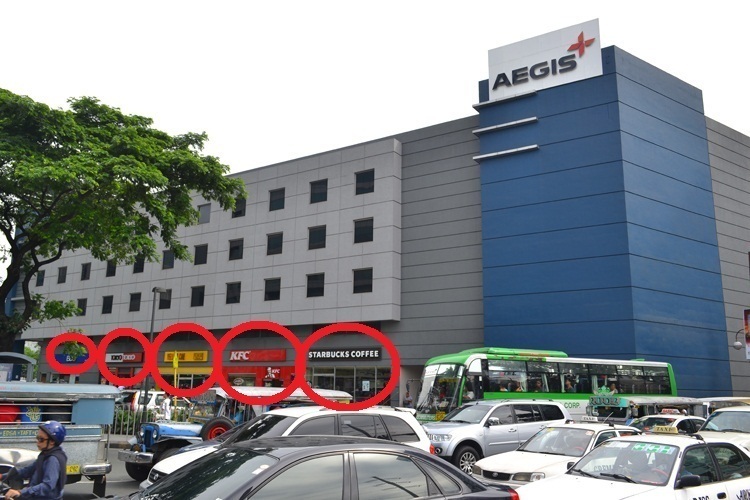 that can all offer understandable landmark location so that location applications become relevant in emerging markets. Device capability limitations and people’s ability and interest to use more advanced applications limit the usage of turn-by-turn guidance based on street names. Landmark based guidance is available in text format supporting any device that has capability for messaging. It is only a matter of finding the right logic that provides sufficient user experience to meet the needs to the mass market. Landmarks present a more adaptive and humane approach. They do not require that the user can interpret insufficient and complicated maps. Landmarks do not include unnecessary information and are available even for the places where no traditional maps are available. And due to the conceptual simplicity, landmarks work well even on very small screens, even a plain text display is enough. This is what customers in emerging markets need and want – now! 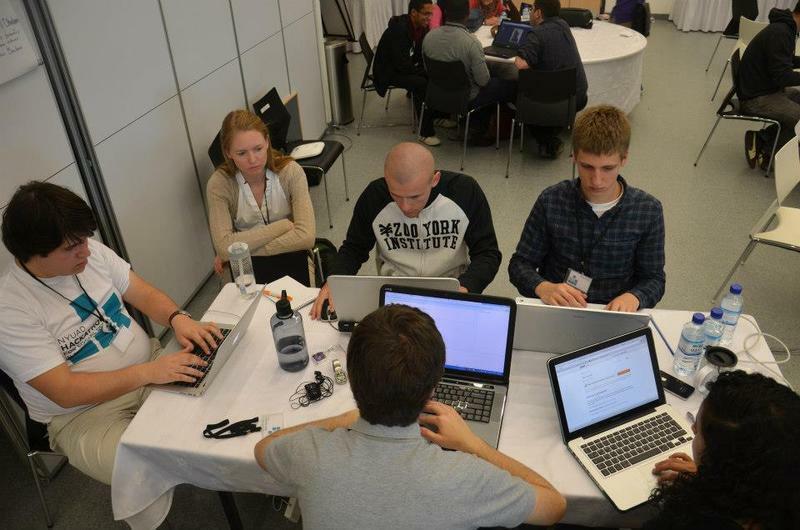 In a recent hackathon at New York University Abu Dhabi, 16 teams of students and mentors (for example from Google, Microsoft Research and NASA) competed for fame and prizes. Full title of the event was “2013 NYUAD International Hackathon for Social Good in the Arab World”, and the goal was to design, implement and release a product in just three days. The team than tied for third place created a product called Landmarkr, which is “a website providing landmark cues for navigation”. Oleg Grishin from the Landmarkr team describes the project: "The idea behind Landmarkr is that in the Middle East there is a big issue with navigation within cities: the address systems are usually terrible (almost non-existent). In addition, the taxi drivers do not usually know the city they work in and in order to get somewhere you need to explain nearest landmarks to the drivers and only then they can find your destination. That is one of the possible implications of the project." The team used our Landmark API to get high-quality geo data for this task. They were able to get started with the free example key from our Landmark API documentation, but also contacted us and received their personal key to handle more traffic. The team also used Google's Places API, but for a different purpose. As Oleg puts it: "[Gecko’s Landmark API] suited us more due to its nature of being a purely landmarks-oriented API, while Google Places focuses more on aggregating more general places' geodata." Landmarkr team in action. From left: Morgante Pell (NYUAD), Susannah Raub (mentor from Google: Software Engineer, expert on Google Maps), Dmytro Krashnostan (Masdar Institute of Technology, Abu Dhabi, UAE), Oleg Grishin (NYUAD), on the bottom from left to right: Moiri Gamboni (NYUAD) and Rawan Alharbi (mentor, teaching assistant from King Saud University, Saudi Arabia). The Landmarkr project has not yet launched publicly, but Oleg says that the team is hoping to do that soon. (Update 2013-04-22) A prototype or the Landmarkr service is available at landmarkr.morgante.net/. More information about the hackathon is available at the NYUAD hackathon site and the NUYAD news release about the results. If you've ever taken a taxi in a developing country and given a street address as your destination, you are already aware of how well precise street addresses work there: They just do not! 1) In one camp, accurate and precise street addresses are a part of general knowledge and their role in everyday life is so great that governments are using considerable resources for maintaining and promoting the concept of street addresses. 2) The other camp has only been able to partly copy the address concept, but not been able to create a tradition for the general use of street addresses. In particular, Africa, Arab world, South-East Asia, most of South and Central Americas and Central Asia are the regions where the exact street addresses do not work the same way or with the same logic as in other parts of the world. 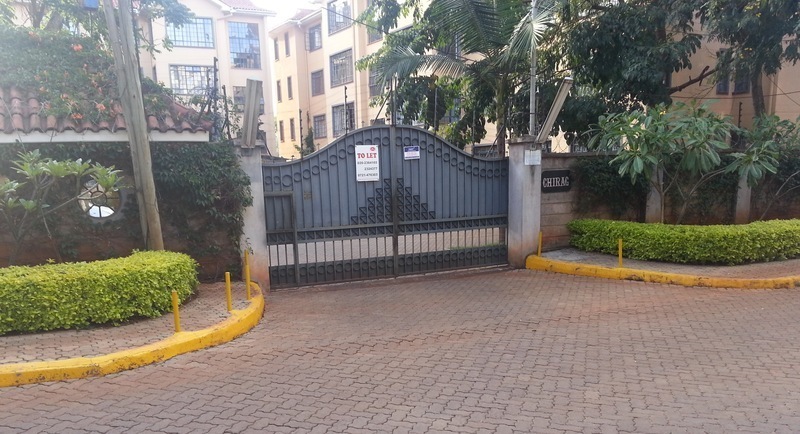 Residential building in Nairobi, Kenya. There is no street number as the majority of the world population lives without one. The root causes of this division can be found in differences in history of urban planning. In countries where exact street addresses are an essential part of urban navigation and everyday life, the concept of precise street addresses has been actively supported and developed for centuries. Street addresses have for so long been an essential part of city functions and urban planning that they have eventually replaced the original, landmark based spatial human perception by a more artificial logic that modern urban living patterns and performances impose. In cities where the concept of urban planning has been imported, usually as part of the foreign colonial administration, this kind of long tradition lacks. Local residents have never grown to understand and use street addresses, and governments have not consolidated a systematical use of street addresses (because local government is always comprised of local people). Moreover, these major cities are the fastest growing in the world, and creating solid tradition of using street addresses is not the priority in comparison with other challenges that require more immediate reforms and improvements. However in such cities, local residents need to navigate, goods need to find their ways to consumption and taxis need to take customers to their destinations. Local residents still have ability to understand landmarks, the evolutionary evolved understanding of the environment and navigation. In modern metropolitan environment, natural landmarks have been replaced by buildings, bridges, functional centers, recreational areas, etc., but this is not a problem, the same good old logic works. 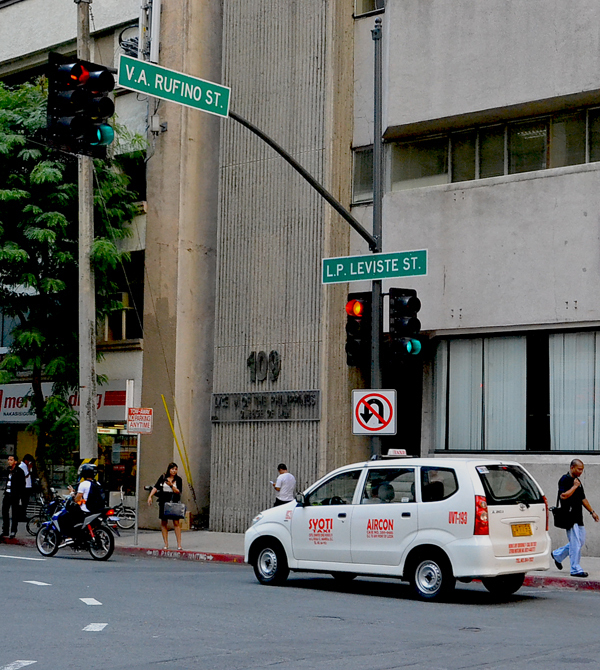 Local taxis know that street addresses come and go, but landmarks stay. Taxi drivers are also local residents. In many developing countries, the job as a taxi driver is often temporary and just for earning extra money with no any formal training or qualifications. In the beginning, taxi drivers know a few main addresses, but the city landmarks and routes between become soon familiar while driving around the city. How does one guide a taxi in cities of developing countries? Tell the driver the nearest major landmark close to your destination. If driver knows it, he probably knows the best and the fastest route to it. When you are close to the landmark, advice a driver to ask further instructions from the locals who might know nearby street addresses. If you know yourself what is the best route to the destination, you can guide the driver landmark by landmark basis. In most cases, Taxi drivers navigate only by landmarks and names of the major streets, and if you're talking "the same language" with him, you will be at your destination faster and more conveniently. Today, some telecom operators offer a Family and Friend finder type of service where mobile phones may be located by text message. For operators, Finder Services are generating attractive revenue growth that can be easily boosted by marketing. For customers, Finder Services have become practical and functional part of ordinary safety management. In emerging countries, where the numbers of mobile phone users are growing the fastest, Finder Services do not serve the operators very well as they must meet local needs more precisely and be customized in a way that masses get real value experience. The services have three important elements that determine whether the client's user experience will be good or bad: price, ease of use and location data quality. Ultimately the quality of location data determines how well such a service works for the end-user: It works just as good as the reference location data is. Normally Finder Services use GIS-data (Geographical Information System, geographical database) provided by the operator or a local GIS data company. Finder Services and GIS data reconciliation has proven to have number of problems which limit Finder service quality and user experience in emerging countries. GIS data provides a variety of elements that can be used for referencing the location in Finder services: POI data (Point-on-Interest type of information), addresses or map visualization. No one has used POI data successfully in Finder services. The main problem with POI data is the choice of an appropriate data from huge quantity on data: You need to choose just the right POI element to define a wide area, and this requires a lot of local knowledge and understanding of the POI data theories and capture methodologies. Another problem is availability of reliable and updated POI data in emerging countries. Local addresses work reasonably well in “developed countries” where well-defined and harmonized address databases are available and people understand and use exact addresses. In emerging markets, addresses do not work at all in Finder services. Addresses of GIS data are not completed (if there is any) and harmonized, and customers do not have any tradition to use or even understand addresses. In some Finder services, location is also visualized in a digital map, especially in Internet use. This works quite well, but location accuracy is never good and highly generalized. This method requires plenty of understanding, knowledge and interpretation of the maps that customers usually are lack of in emerging countries. Ease of use is also compromised with maps as one needs to zoom in and out to read the map. Only some of the phones support traditional map visualization. In addition, there are a Finder services that do not use any external location database references, but simply gives name to each cell coverage area or cell-id. The cell-id itself provide a location reference for the mobile phone. This method is simple but if location names are not systematically well developed, end-user will not understand location. This system also doesn’t support more accurate location technologies beyond plain cell-id and the bigger the network the more complex it becomes to maintain and make sure that the location names work for the end-users. There are plenty of cases where this has failed and are not aware of any successes with this method. Therefore GIS-data and cell-id naming does not provide sufficient technical solution for the location referencing of Finder services - But Landmarks do - the best and the most natural solution. Finder services and landmarks are a good example of how the two things can be combined to a workable solution that is more than the sum of its parts. Landmarks are accurate, their designation and selection is made in a way that the locals understand and recognize them. 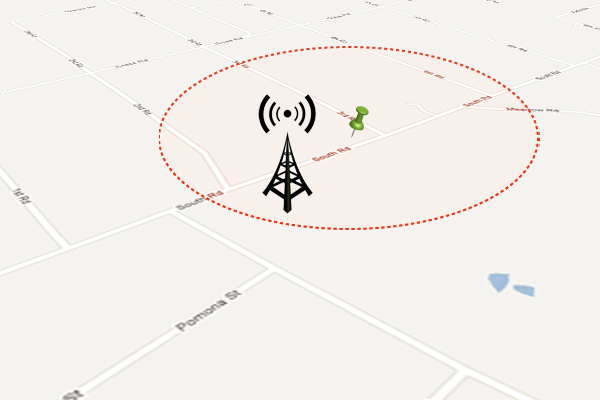 Landmarks define spatially suitable sized areas, which correlate well with the areas that operators’ cell sites cover. Furthermore, if there is a lot of human activity, there is also a high cell site and landmark density, in rural areas sparser but in the same proportion. Landmarks as a location reference are also a scalable solution. Operator's network have a more precise location determining technology, landmarks may be still the same as they have already been selected to define the specific area, no matter how accurately operator network technology determines the location. There are always more landmarks than sell sites. Finder services need to provide up-to-data location references. Since landmarks are carefully selected and justified, updating is much easier and faster than for GIS data references; In GIS data updating, all elements are usually updated simultaneously for the one area. Gecko Landmarks is committed to update all global landmarks every 6 months. Finder services are based on the principles that the location of every mobile phone will be determined as accurately as possible, and the location is provided in a way that everyone locally understands and has real every day value. These principles can be met only with landmarks as a location reference – Landmarks enables Finder services for masses in emerging markets. Why we are specializing in landmarks? Believe or not but most people can’t read or understand maps. For most people’ spatial understanding and orientation is based solely on local landmarks, especially so in Asia, Africa and Latin America or so called emerging countries. Accurate geographical data is only available for 40% of all countries, which is one of the biggest obstacles for wider use of Location-Based Services (LBS) in most parts of the world. LBS are commercially used and successfully implemented in the developed countries that comprise less than 60% of the potential users for LBS. Growth is fastest in the emerging markets, and a new approach is badly needed in order to tap into this missing 60% of LBS business. We, Gecko Landmarks, have developed an extremely accurate global landmark database, fully covering every country in the world, along with innovative landmark based navigation concept and development platform. These provide a technically feasible and cost-effective solution for Gecko Landmarks to provide the solution that can reach the remaining 60% of the potential LBS market. The strategy and existence of Gecko Landmarks is based on landmarks, and a growing large-scale utilization of landmarks in the LBS industry. The company is specialized purely in the production of landmark data, not geographical data of any other formats. The specialization in landmark data started over ten years ago, when the owners of the company started to produce a tracking device based on landmarks, and to systematically gather global landmark data. In the beginning the data was based on information gathered from the field with traditional methods and further processed into databases. As demand increased and as the team gained experience and know-how, it became clear that it was necessary to develop new technology specifically for this purpose. Such systems and special tools, purely for landmark data gathering, developing, and updating, were not available commercially and are still not. Now this work has been completed; landmark creation has been optimized and is in full production use. Therefore Gecko Landmarks now possesses the best landmarks database in terms of quality and coverage, and the special tools to update it and develop it even further. To convince LBS industry of the usefulness and the value of landmarks, Gecko Landmarks has also developed proof of concept applications and Landmark API for partner companies to utilize landmark data. 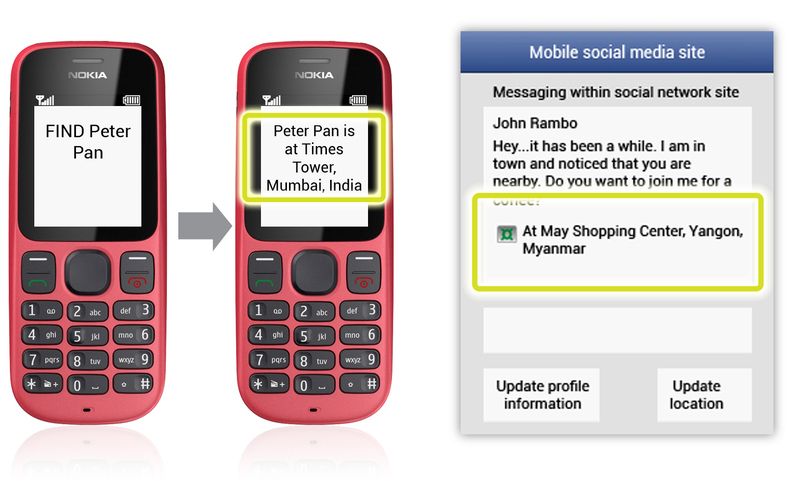 Landmarks enable text based location information empowering all the 6 billion mobile phones. Gecko Landmarks' database is selective by design; it purposely does not include all the possible points in the world. Other data producers make gazetteer, GIS, POI, or Yellow Page -style databases where every possible piece of information is stored and focus is on quantity of the collected information. Gecko Landmarks focuses solely on the quality of the data: Each landmark in the database is significant on its own, and in relation to the rest of the data. Instead of large amount of included points, focus is on quality and functionality of the whole. Gecko Landmarks is not using external data development partners nor inaccurate general/public databases; every individual landmark database entry is carefully selected and checked by in-house landmark data development professionals. Due to the dynamic and changing nature of landmark data, Gecko Landmarks is committed to update and verify every individual landmark within 6 months. Every individual landmark in the database is selected to give the best spatial and local landmark value. They are the locally most known and understood geographical objects and features in their area or place, and it is always possible to define direction and distance to them, either absolutely or based on perception. This means that every landmark is locally recognized and can be used for navigation, orientation, location definition, and other basic needs of LBS, especially in the areas where people do not understand maps or any other forms of geographical data. Thus, landmark approach provides the most effective mass-market solution for location-based services for the majority of the world population. Our challenge is to make it happen and taking the right steps enabling Location-Based Services with broad consumer appeal. Where is the center of a landmark? There is a one very important issue related to adoption of landmarks which is good to understand when utilizing landmarks in map services, visualization, navigation or defining locations: How the center point of a landmark (exact coordinates) is determined and presented in a single point, and what are the most appropriate selection criteria’s and principles to select this point. If you compare available map services (Google Maps, Yahoo Maps, Google Earth, Bing Maps, etc. ), you will realize that location of the landmarks and such are not identical at all. Everyone has their own version of where the center points of landmarks are located. Cities, towns and villages are more or less “somewhere there”, POI (Point of Interest) type of landmarks are usually close to, but not exactly where the "real position" is. This is one of the core issues with landmarks – How to determine and place the center point of the single point which represents city, village or another man-made landmark? Should the selection be based on functional, geographical, administrative principles or just on one person's perception? In geography, mathematics and especially in cartography, this issue/problem have been analyzed extensively, but no straightforward and generally accepted solution has been presented... And never will. On this basis, the landmark locates in the functional focal point of a city or a village, in the center of the area where the most traffic flows and commercial activities are concentrated. 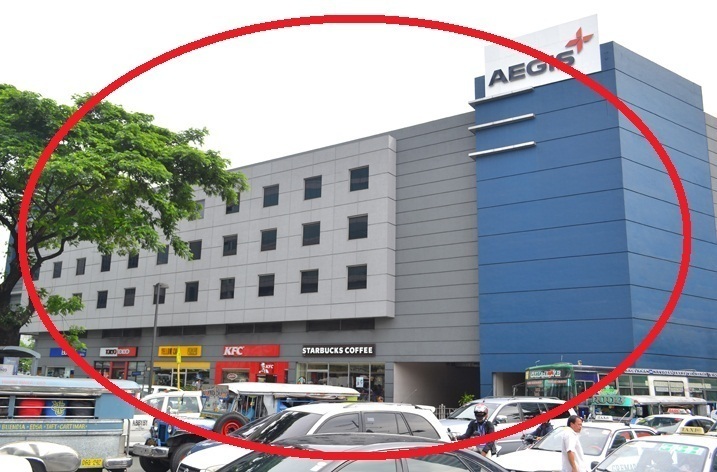 In the case of POI type of landmark, center point locates where people mostly move within the area of landmark, usually in main entrance of the building/premise/area. On this basis, the center of a city or a village is placed into mathematical center of their geographical borderline polygon that determines the operational area (built up area). The center of POI type of landmark is also defined by the center of a polygon that usually is based on a building outline or something similar. On this basis, the location of the landmark is relatively easy as it is placed in the mathematical center of an administrative city/village limit polygon. This polygon may be the same as the geographical, but often it is not. In case of POI type of landmarks, center point is located according to mathematical center of a property or site, according to the compound boundary polygon. This is “the principle” that confuses and messes up all the other criteria and principles, but is the most important of them all. How can one person define where the center point of a city, village, or a single building should be? There are a lot of studies and tests about this: Approx 90% of the people place the center of the city within one kilometer radius from the functional center. For POI-type of landmark, they place center point as follows: 40% in the middle of the building, 40% in the main entrance and 10% elsewhere. So, where is the center of a landmark? If none of these four principles work directly for a particular landmark, it is useful to make an appropriate synthesis of these four. This kind of generalization usually works well and provides good and generally accepted answer. However this is not a totally definitive response to the question where the center point of a landmark should be located, but it provides the basis for how the center point can be determined.